Gel Pens 108-Count Just $13.99! Down From $50! You are here: Home / Great Deals / Amazon Deals / Gel Pens 108-Count Just $13.99! Down From $50! At Amazon, you can score these Gel Pens 108-Count for just $13.99 down from $49.99 PLUS FREE shipping with Amazon Prime or for orders $25 or more! 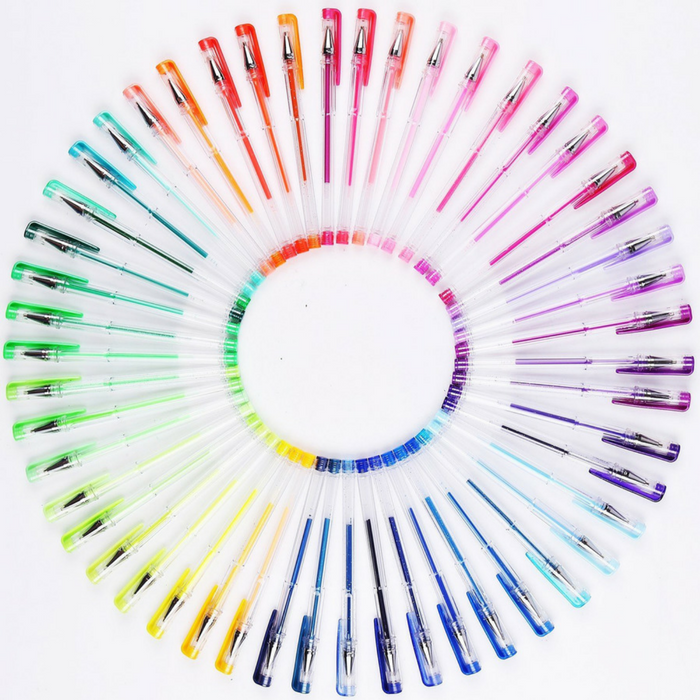 Each gel pen is UNIQUE in color. There are no duplicates in the set and include colors like BROWN, WHITE and EARTH TONE colors. All gel pens are NON-SCENTED, NON-TOXIC & ACID FREE and will not bleed through OR skip. These pens have 0.8 to 1.0 MM tips which make it ideal for coloring books. The only set needed for all your crafting and coloring needs. Fantastic gel pens for adult coloring books, kid’s coloring, classic drawing and standard writing.